Foam based tapes are slowing replacing some liquid adhesives as well as mechanical fasteners due to several reasons. Foam tapes are practical, cost-efficient and provide a myriad of bonding, sealing, acoustical, and vibration damping applications. Foam tapes consist of a foam core, the adhesive and the liner that is removed before use. With so many choices in a Foam Tape configuration from foam density, temperature, closed-cell or not, adhesive type and release liner, we thrive at the challenge of helping you work through these options for your next project. We have an array of different choices to help you define these decisions, all while giving you the option of having us hold Inventory for you. Below are some of our offerings and where they are commonly used. All though the list is not all inclusive so please contact us for just a quick question or to discuss your new project - we are listening!! Foam tapes function as gaskets, forming a "seal" to prevent air, vapor, moisture, water, dirt and sound infiltration. Clean installation, so no harsh solvents are needed to remove excess adhesive. This is a rubber based adhesive which provides a good initial bond to a variety of surfaces. 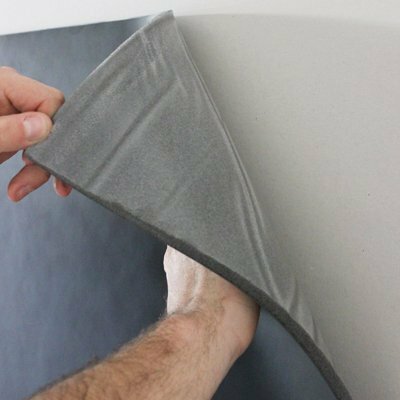 This tape is a combination of a conformable closed cell foam and a rubber based adhesive. Polyethylene Foam tape is commonly used for joining, mounting, gaskets and sealing. It can come in white or black with the adhesive on both or one side. Other uses are for mounting name plates, signs or cable mounting brackets/clips. This tape is found in gaskets, weather-stripping, and vibration dampening. This is a closed cell foam that can be supplied with a acrylic or rubber based adhesive on both or one side. Densities range from soft, medium, firm. Being gray in color this Polyester Foam is an open cell non-reticulated foam. Ideal for light insulation, dust and sound sealing. Polyester foam tape is more resistant to alcohols and hydrocarbons when compared to Polyether. Polyether foam tape, also gray in nature, has a lower tensile strength compared to Polyester and will perform better in wet and moist environments. This is a closed cell foam that comes in many thicknesses and densities. These tapes have superior flexibility, wear resistance and strength. When coated with an aqueous-based acrylic adhesive this tape offers excellent bonding to vulcanized rubber and other substrates relating to gasket sealing. With its excellent resistance to water absorption, this tape is used to seal HVAC systems, roof curbs, thermal pipe wrap insulation, and general weatherproofing. It is a uniform closed cell structure that resists fluids. This semi-closed cell foam is available in various thicknesses, is highly compressible with a compression deflection value of 1.0 Psi. With a high tear strength and durability, it will be used to resist heat, chemicals and weather. EFO is UL 94 listed. This can be supplied with or without an adhesive.